Made to order with fresh avocado, onion, tomato, cilantro, jalapeño & lime. Melted monterey jack cheese, sautéed with ranchera sauce, topped with choice of chorizo or mushrooms. Served with flour or homemade corn tortillas. Three corn tortillas filled with choice of shredded beef or chicken. Served with mild red sauce, panela cheese, sour cream & guacamole. Two flour tortillas filled with choice of shredded beef or chicken. Served with mild red sauce, panela cheese, sour cream & guacamole. Two sopes topped with refried beans, choice of meat, lettuce, tomato, guacamole & panela cheese. Large flour tortilla filled with cheese. Served with pico de gallo, sour cream & guacamole. Breaded chicken fingers served with choice of dressing. Hot Buffalo wings served with choice of dressing. Potato skins filled with pico de gallo, melted cheese, topped with bacon and served with sour cream. Corn tortilla chips or fries topped with refried beans, Monterey Jack, nacho cheese, pico de gallo, guacamole & sour cream. Taquitos rancheros, flautas, buffalo wings, chicken fingers, potato skins and a quesadilla. Served with guacamole & sour cream. Mexican sandwich served with a layer of beans, lettuce, tomato, onion, jalapeño, avocado, Panela Cheese, mayonnaise or sour cream & choice of meat. Shrimp cooked in lime juice, with jalapeño, red onion, cucumber & habanero, topped with avocado & served with crispy tostadas. 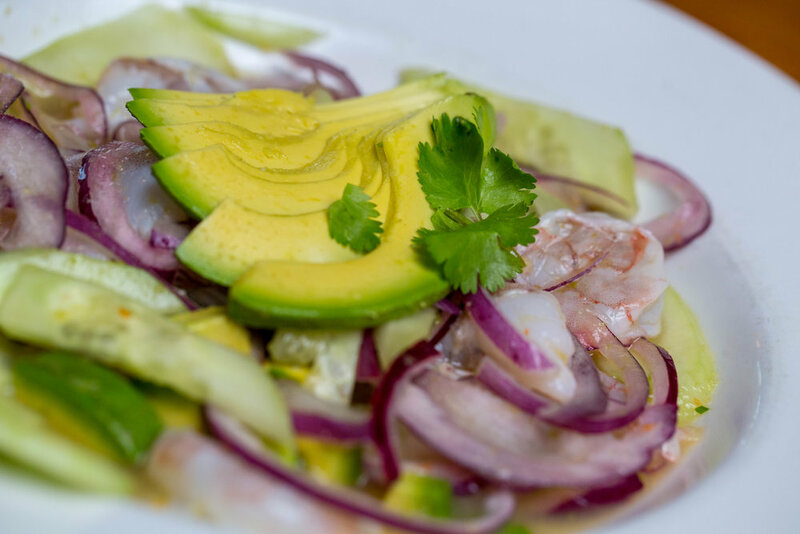 Citrus marinated Shrimp or fish mixed with onion, cilantro & tomato, topped with avocado and served with cucumber & crispy tostadas. Make your own tacos at the table with your choice of any 3 meats: carne asada, al pastor (pork), carnitas, grilled chicken or lengua. 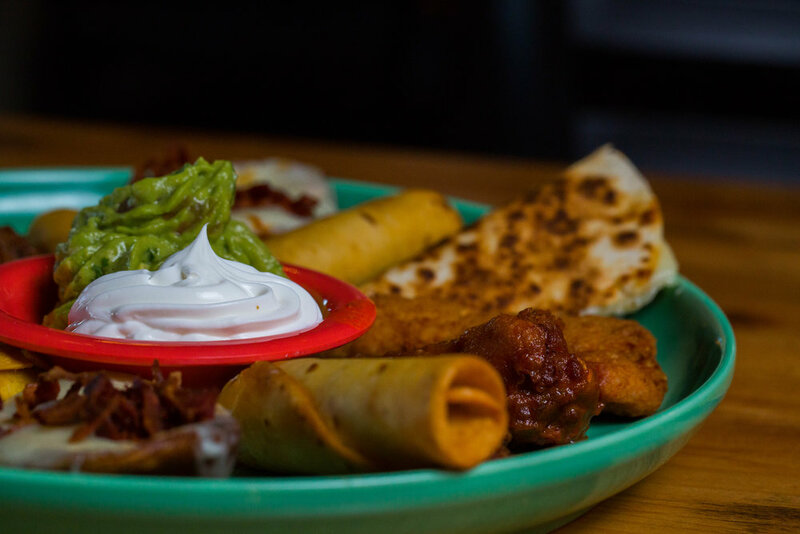 Served on a wooden platter, accompanied with salsa verde, salsa roja, guacamole, grilled green onions, chiles toreados, fresh chopped onions, cilantro & your choice of tortillas. 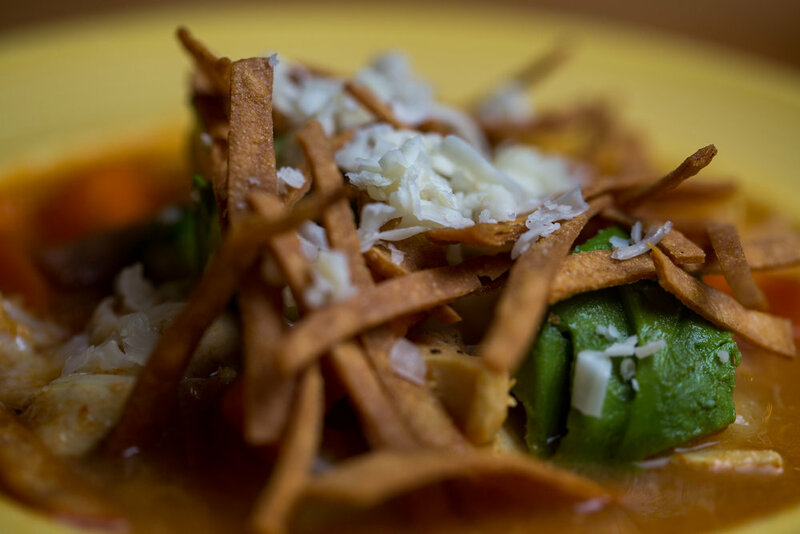 Chicken soup topped with shredded Jack Cheese, chopped avocado, and tortilla strips. Mexican meatball soup with mixed vegetables and herbs. Chicken broth served with rice and shredded chicken, topped with avocado, onion and cilantro. House salad served with choice of dressing. Mixed greens topped with grilled chicken, shrimp, sliced avocado, tomato, Monterey Jack Cheese & sprinkled with bacon bits. Mixed greens topped with choice of grilled or crispy breaded chicken breast, rice, oranges, green onion, & toasted almonds. Mixed greens topped with grilled chicken, sliced avocado, tomato, pineapple, raisins, black beans, tomato, and Monterey Jack Cheese. Jumbo shrimp marinated in garlic, wrapped in bacon, served on a bed of rice. Jumbo shrimp sautéed in our spicy diabla sauce. Served with rice, beans & tortillas. Two flour tortillas filled with grilled shrimp cooked in light butter, garlic and pico de gallo, topped with avocado. Served with rice & beans. Two flour tortillas filled with breaded or grilled Bass fish fillet, topped with cheese, lettuce, pico de Gallo, sliced avocado & cilantro, served with rice & beans. Halibut fillet sautéed in light garlic butter & white wine sauce, topped with mushrooms, shrimp, & tomatillo sauce. Served with rice & vegetables. Sea bass fillet grilled or breaded. Served with white rice & fries or sweet vegetables. Baja-Style Fish Tacos – NEW! Two flour tortillas filled with beer-battered fish topped with red & green cabbage, our chipotle crema, avocado & lime. Served with rice & beans. Two flour tortillas filled with shrimp, topped with tomatillo sauce, sour cream & avocado. Served with rice & beans. Two corn tortillas filled with crab meat topped with tomatillo sauce, sliced avocado & sour cream. Served with rice & beans. Whole tilapia, seasoned & deep fried. Served with white rice, mixed green salad & french fries. Six breaded jumbo shrimp, served with white rice, fries & homemade dipping sauce. 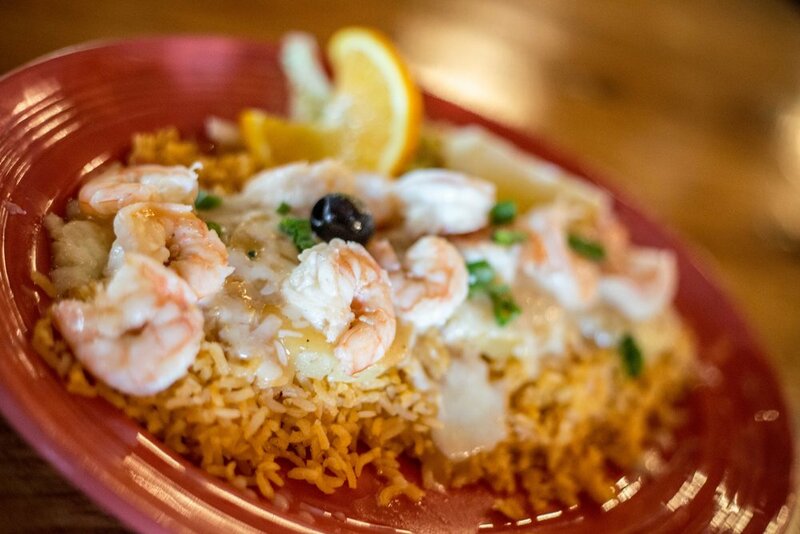 Jumbo butterflied shrimp in their shell, sautéed in butter sauce, stuffed with crab meat & topped with melted cheese. Served with rice & beans. Jumbo shrimp, butterflied and sautéed in our chef's special spices & butter. All house combinations come with a choice of one or two of the items below. Served with rice & beans includes a choice of soup or salad. With chicken topped with tomatillo sauce, avocado & sour cream. Flour tortilla filled with refried beans & choice of meat, topped with red or green tomatillo sauce & melted cheese. 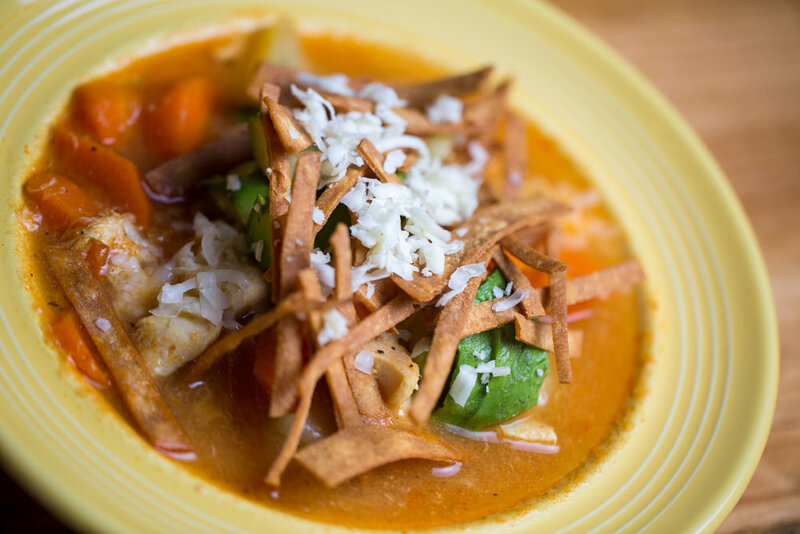 Served with rice & beans; includes choice of soup or salad. Chunks of beef cooked slowly until tender in our mild red sauce. Served with rice, beans & tortillas. Chunks of pork cooked slowly until tender in our green tomatillo sauce. Served with rice, beans & tortillas. Chunks of New York Steak cooked with tomato, bell pepper and onion, simmered in our ranchera sauce. Served with rice, beans & tortillas. Thinly sliced steak, charbroiled to perfection. Served with guacamole, pico de gallo, rice, beans & tortillas. New York steak seasoned & grilled to perfection, accompanied with a cheese enchilada or chile relleno. Served with guacamole, pico de gallo, rice & beans. Thinly sliced steak, charbroiled & seasoned with our signature al pastor sauce. Served with rice, beans, tortillas, guacamole, pico de gallo & a grilled pineapple slice. Chunks of premium, slow cooked pork. Served with guacamole, pico de gallo, rice, beans & tortillas. Breaded steak or chicken fillet pan fried, served with guacamole, pico de gallo, sliced fried potatoes, rice & beans. Grilled chicken breast, served on a bed of rice, topped with ranchera sauce, melted cheese & sour cream. Half a chicken marinated & cooked in garlic sauce. Served with rice, beans & tortillas. Your choice of two chicken enchiladas, boneless chicken breast or half chicken topped with our house made mole sauce; served with rice & beans. 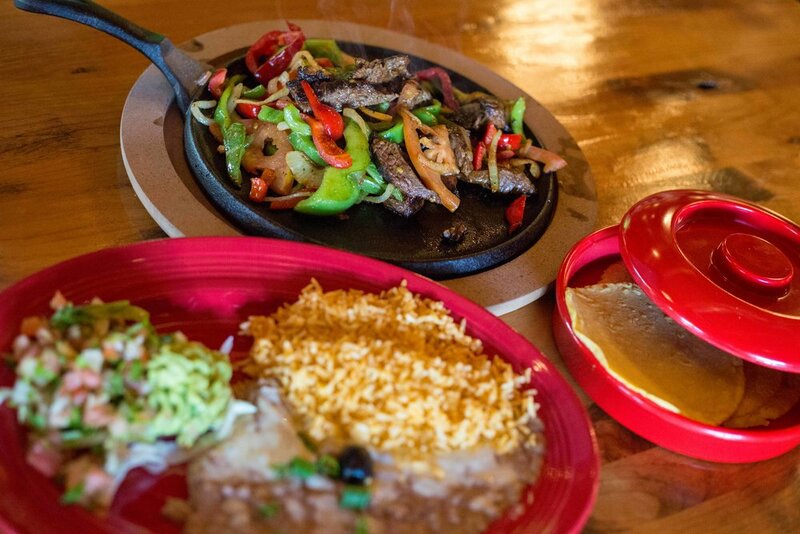 Grilled pieces of steak, chicken, shrimp, fresh cactus leaf, panela cheese, green onions & yellow chili peppers. Served on a hotmolcajete with our signature red sauce, accompanied by rice, beans & tortillas. Beef or Chicken sizzling with fresh vegetables on a skillet. Served with rice, beans & tortillas. Shrimp sizzling with vegetables on a skillet. Served with Rice, beans & tortillas. All of the above sizzling with vegetables on a skillet. Served with Rice, beans & tortillas. New York Steak stuffed with jumbo shrimp, wrapped in bacon and topped with red mushroom sauce. Served with rice & beans. Two flour tortillas, filled with fajita style beef & grilled chicken. Topped with red & green sauce. Served with rice, beans, guacamole & sour cream. Three corn tortillas filled with choice of shredded beef or chicken, topped with mild red sauce, Panela cheese, sour cream& guacamole. Served with rice & beans. Two flour tortillas filled with choice of shredded beef or chicken, topped with mild red sauce, Panela cheese, sour cream & guacamole. Served with rice & beans. Flavorful Pasilla Chile stuffed with ground meat cooked with potato, carrot, zucchini & tomato. Served with white rice & black beans. Beef, chicken & shrimp on the grill, sautéed with red & green bell pepper, red & white onion, garlic, mushrooms, & white wine. Served on a bed of rice with tortillas. Two scrambled eggs with shredded beef, bell pepper & onion. Served with rice, beans & tortillas. Two eggs, fried in butter and served on a corn tortilla with ranchera sauce, cheese & sour cream. Served with rice, beans & tortillas. Two scrambled eggs with Mexican sausage. Served with rice, beans & tortillas. Two egg omelette with choice of 3 of the following toppings: cheese, avocado, mushroom, onion, bell pepper, jalapeño, chorizo, or shredded beef. Covered with ranchero sauce and topped with sour cream. Served with rice, beans & tortillas. A crispy flour tortilla bowl filled with your choice of meat. Served with refried beans, lettuce, cheese, tomato, sour cream & guacamole. Baja style beer-battered pieces of fish served with fries & house made tartar sauce. Two flour tortillas filled with choice of shredded beef or chicken, served with mild red sauce, Panela Cheese, sour cream & guacamole. Flour tortilla filled with cheese served with pico de gallo, sour cream & guacamole. Potato skins filled with pico de gallo, melted cheese, topped with bacon & sour cream. Tapatio Silver Tequila, organic agave nectar, freshly squeezed lemon juice, served on the rocks in a 20oz schooner, topped with a mini bottle of Grand Marnier. Jose Cuervo Gold, Bols triple sec and sweet & sour. Served on the rocks or blended. 1800 Reposado, Triple Sec and Sweet & Sour. Shaken, served on the rocks, accompanied by a side shot of Grand Marnier. Cazadores Tequila, organic agave nectar, lemon juice, grapefruit juice, a splash of soda water & orange juice. Served on the rocks in a typical clay cantarito rimmed with Tajin, garnished with a slice of orange, lemon, and a tamarind candy stick. Jose Cuervo Gold, organic agave nectar, & freshly squeezed lemon juice. Shaken & served on the rocks. Jose Cuervo Gold, Triple Sec, Sweet & Sour, cucumber & jalapeño. Served on the rocks, rimmed with tajin. 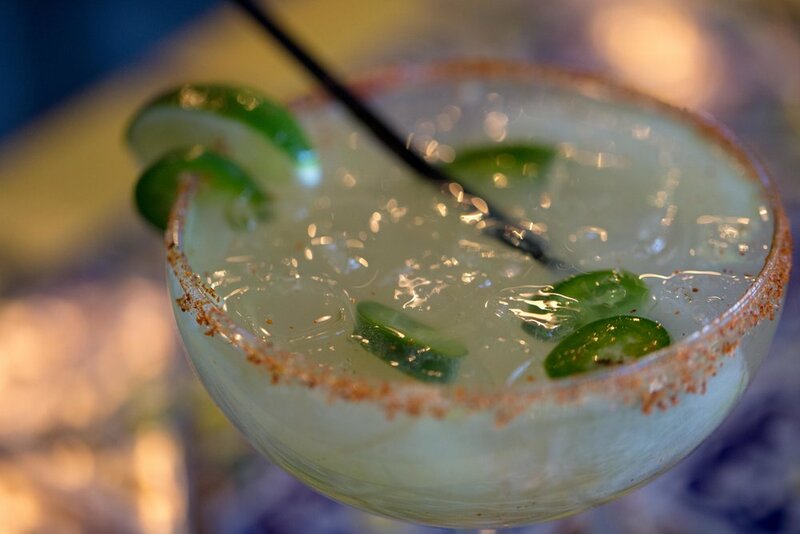 A refreshing & flavorful Margarita made with Sauza & blended with Monin Mango Puree. Served with Chamoy, spicy mango pop & rimmed with Tajin. 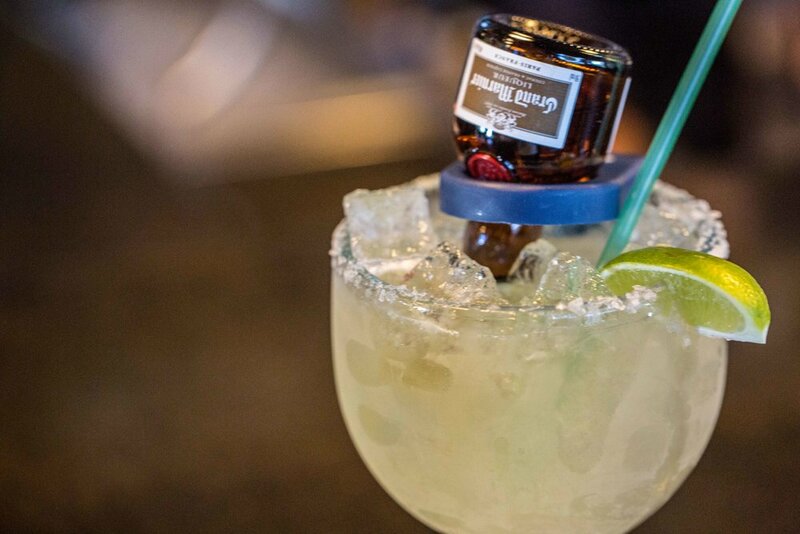 A deliciously tangy but sweet Margarita, made with Jose Cuervo Gold, Organic Agave Nectar. Blended with Tamarindo Puree & rimmed with Tajin. 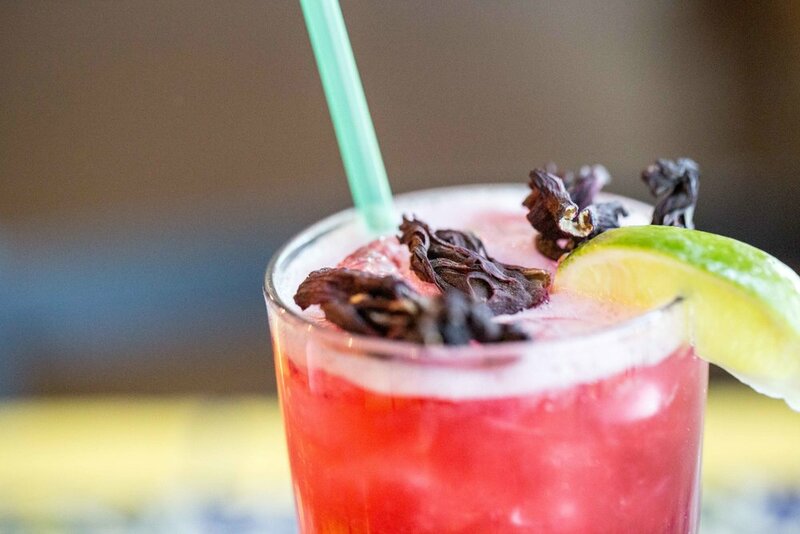 Made with fresh lemon juice, Clamato & our Don Sal Michelada Mix. Served with choice of beer. House Michelada served with choice of beer, topped with cooked shrimp, cucumber, chamoy & tajin. Available with 32oz Corona or Pacifico. Made with Parrot Bay Rum, coconut milk, & pineapple juice. Blended & served over a strawberry puree glazed tropical glass. Topped with whip cream & a cherry. Castillo rum, muddled mint leaves, lime, mojito syrup & soda water. Call (661)-941-2301, or book online with OpenTable. 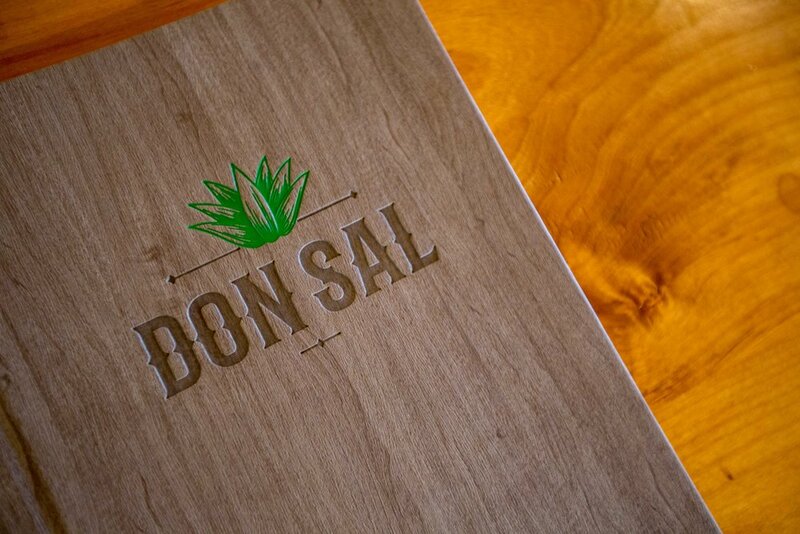 Don Sal Cocina & Cantina is now on the BLVD in Lancaster. With over 55 years of combined experience, a group that includes husband, wife and father Don Sal ventured out and took a risk. With limited resources, a vision, faith and hard work Don Sal in Rosamond opened in 2014. The Garcia-Nunez family has worked countless hours to create and develop this restaurant into a family and community favorite and we believe one of the best Mexican restaurants in the Antelope Valley (Yelp agrees). Our main focus is always on providing each and every customer with the best dining experience possible by providing excellent customer service and even better food. Don Sal prides itself on traditional Mexican fare of the highest quality along with a family friendly environment, nuestra casa es su casa. 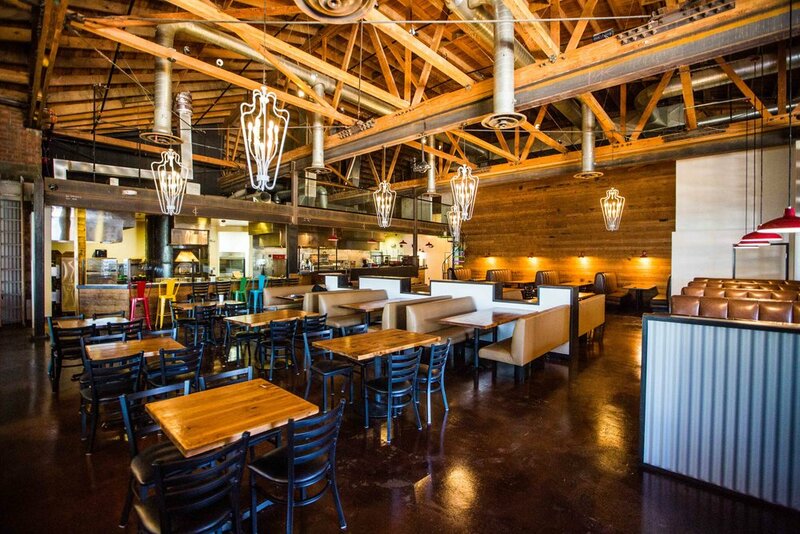 Just 4 years later, 2018, we are expanding and Don Sal Cocina & Cantina has opened on the BLVD. This second location has also added a partner, a life long friend , Mr. Currea, who is considered family. It is an exciting addition which will help enhance the dynamic of the restaurant’s vibe. One of the owners/ managing partners is ever present at Don Sal ensuring that there is never a dip in service or food quality. 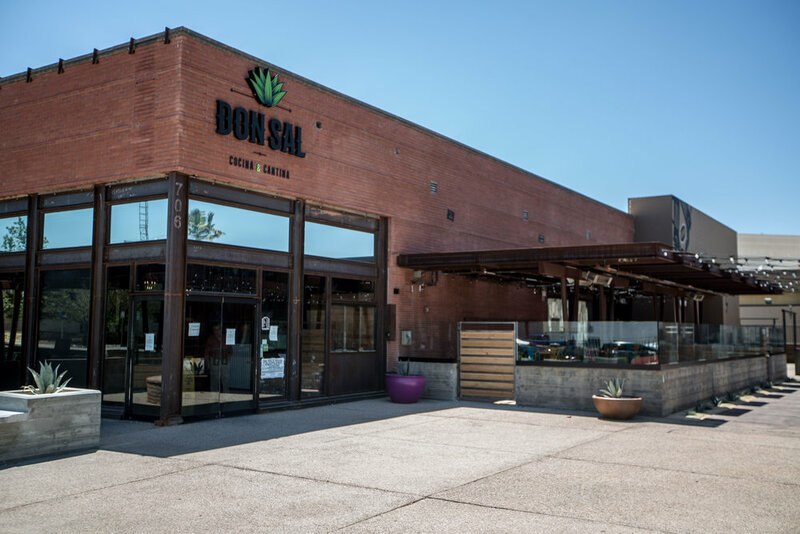 A hands on approach is what has helped Don Sal flourish in Rosamond and we have no doubt that this same mind set and culture is what will make Don Sal Cocina & Cantina on the BLVD a huge success. The belief is that showing up to work every day makes a big difference in the customer’s experience. Don Sal is here for the long hall, to serve families and see them grow, not just as customers, but as friends and family. 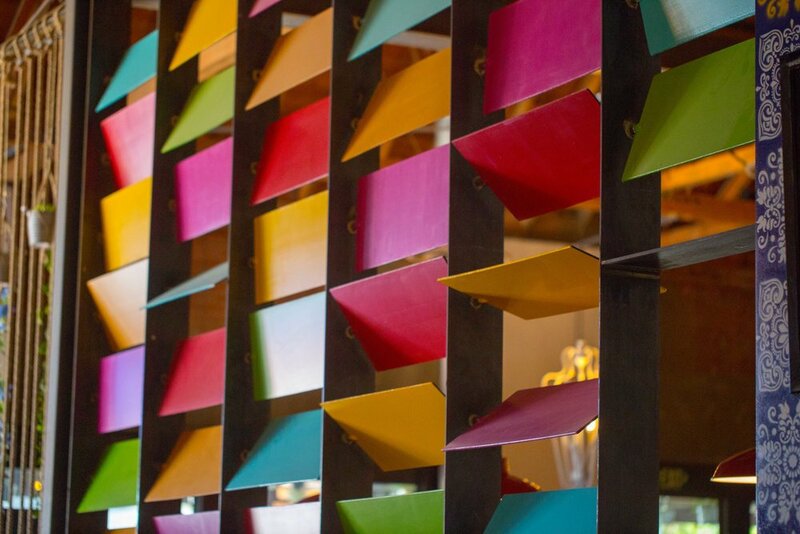 We hope to see you all again soon, and often Nuestra casa es su casa.